Our club's annual meeting is fast approaching! This year's meeting will be held on February 24th, 2018. Watch your inbox for further details. 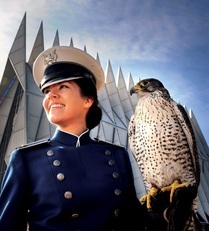 The USAFA Georgia Parents Club is a private non-profit organization composed of parents, family, and friends of United States Air Force Academy Cadets from the state of Georgia. The purpose of the USAFA Georgia Parents Club is to provide news and support to parents during the time that their son or daughter is away from home attending the United States Air Force Academy or Air Force Academy Prep School. We are a support and assistance group - supporting each other, our cadets, and of course, the Academy's efforts on behalf of our cadets in their collegiate education and military training. We also have FUN with several events each year where parents can get together, share stories about their favorite cadets and enjoy the camaraderie of fellow USAFA parents. We also provide information and encouragement to parents of prospective cadets and Appointees. We share a great deal of pride in our sons and daughters for their commitment to serve our country as officers in the Air Force. ****For a Complete List of Officers and Contact information; please go to Documents and Download the Current Officers List. Click here to e-mail the club officers. To prevent spam, please check this box to confirm you are not a robot. Thank you!